Peru has created a temporary visa that will allow thousands of Venezuelans to work and study in the country, part of a migratory policy that aims to "build bridges" and "not walls," the Andean nation's interior ministry said. 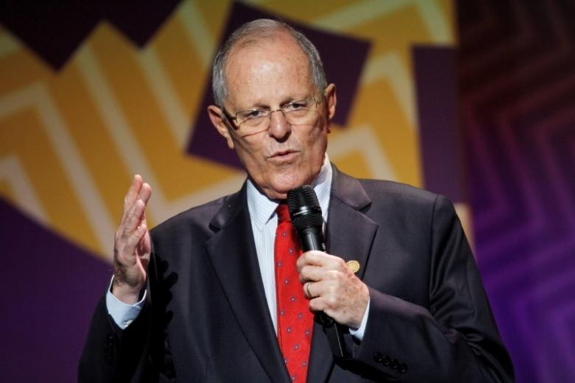 President Pedro Pablo Kuczynski's government issued 20 temporary visas to Venezuelan migrants in Peru this week. Kuczysnki, a centrist, has expressed concern about shortages of food and medicine in Venezuela, mired in a deep economic crisis. Some 6,000 Venezuelans are expected to receive the permit, which will allow them to study, work and receive health services in Peru for a year, the interior ministry said late on Thursday. Peru has enjoyed nearly two decades of uninterrupted economic growth and single-digit inflation, a sharp contrast to socialist-led Venezuela, where the ranks of the poor have swollen in recent years. "We want to offer a different message on migration than what's offered in other places. We want to build bridges that unite us and not walls to separate us," Interior Minister Carlos Basombrio said in a statement. The comment appeared to be a thinly veiled shot at the new U.S. government, which is traditionally an ally of Peru. U.S. President Donald Trump has imposed a temporary entry ban on refugees and citizens from seven Muslim-majority countries, and insisted that Mexico will pay for his proposed wall along the U.S.-Mexican border to curb illegal immigration. Kuczynski, a former Wall Street banker and free-trade advocate who took office last year, has previously compared Trump's proposed border wall to the Berlin Wall, and said he would oppose it in the United Nations. Kuczynski and Colombian President Juan Manuel Santos said last week that they would stand with Mexico and seek to strengthen regional trade, in the wake of rising tensions between Mexican President Enrique Pena Nieto and Trump.